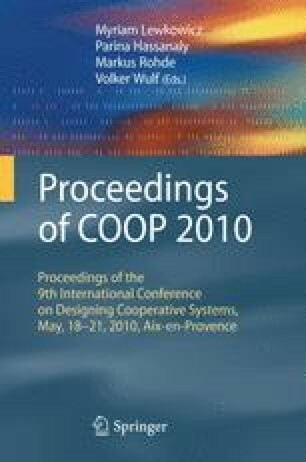 This research deals with the investigation of inter-subjective dimensions of roles and participation in distributed design processes (DDP), as linked to group or social awareness. It is focused on an open-source software community – the Python programming language community – as a model of DDP. On the basis of semi-structured interviews, we show that participants agree upon a typology of roles based on evident activities and experiences of participants, and that this knowledge guides their strategic use of archives for maintaining situation awareness. Contextualized interviews on a specific design process helps in understanding how this typology of roles is instantiated in a design situation and how social awareness is distributed among participants. We thank our interviewees for the time they have spent to answer our questions.